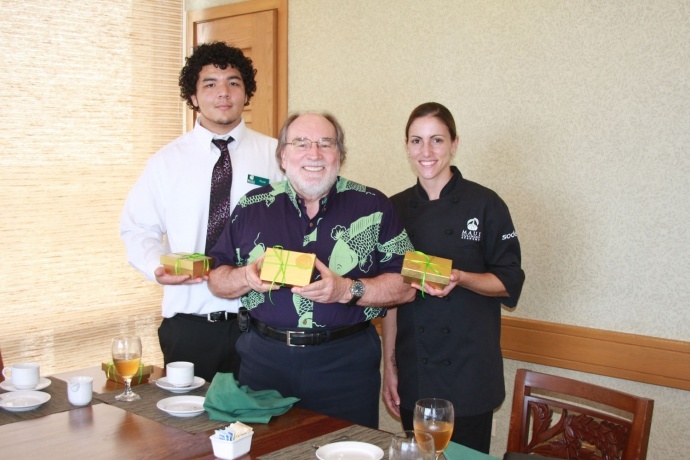 Governor Neil Abercrombie samples hand-made chocolates made by UHMC’s Maui Culinary Academy. 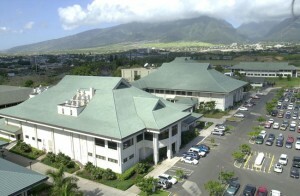 Photo courtesy of the University of Hawai’i Maui College.). Today, Governor Neil Abercrombie visited the University of Hawai’i Maui College and toured the site of a proposed food innovation center that would be housed in the college’s former cafeteria. The proposed center would serve as a research and development production facility to help farmers turn their fresh produce into value-added food products like frozen foods, and dried, preserved or canned goods. The governor met with administrators and faculty and asked questions about how the center’s proposed facilities would function, how long it would take to get ready, what kinds of products could be produced and how it would benefit students. Currently such a research and development production facility does not exist on the neighbor islands. When there’s excess harvest or slightly damaged crops, local farmers often find it costs more for them to bring their crop to market than they earn in profits. A research and development production facility would help farmers and entrepreneurs take those excess crops and turn them into profitable value-added food products, creating jobs in the process and giving residents more options to buy local goods. Food security is another concern for Hawaiian residents dependent on food supplies shipped from overseas. One million meals per day will be required in the event that the island of Oahu alone experiences the impact of a Category 4 hurricane. 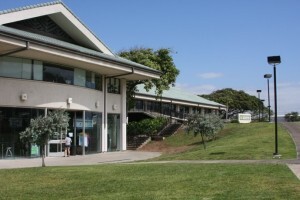 A food innovation center is a critical step in meeting Hawaii’s food security challenge. Developing food products requires both the necessary facilities and the expertise and programs to provide recipe and product development, food safety, nutritional analysis, packaging design, and support for marketing, business development, distribution, and storage. The proposed food innovation center would act as a business incubator for local farmers and entrepreneurs, providing the space and equipment for research, development, and small-scale production of value-added food products. It would also create new opportunities for student education in such areas as product design, nutrition, food safety, and retail food sales and marketing. Currently a $1.225 million state appropriation bill is awaiting the governor’s signature. 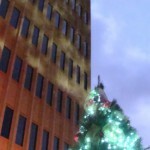 Those funds will be used to plan, design, and cover partial costs of construction for the renovation, and leverage federal and other project-related funding. Total costs for the food innovation center are anticipated to run between $2 million to $3 million.